Take your self-care sessions to a whole new level by learning how to create your very own skincare products. 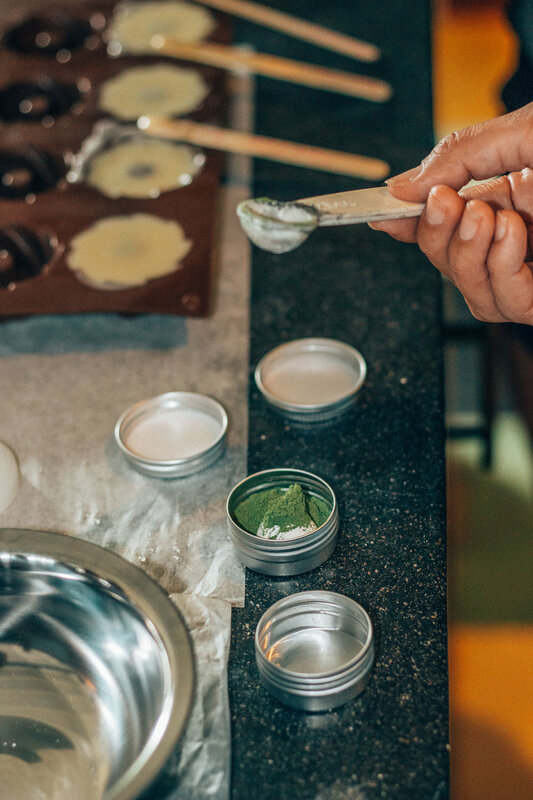 Using organic clays, essential oils and other nourishing ingredients, you’ll whisk signature-scented lotion bars and detoxifying face masks that are tailored to your skin’s needs. After learning about the healing properties of various all-natural ingredients, you’ll blend botanical elements, like beeswax and the ever-so-trendy coconut oil, to treat and hydrate your skin without overburdening its unique chemistry. Give your skin a well-earned treat with our skincare masterclass that will have you using and abusing your phone’s front-facing camera in no time. If natural, cruelty-free and eco-friendly are words that ring true for you, then our skincare-making masterclass is just the thing for you. We’ll begin by learning about various essential oils and their therapeutic effects. 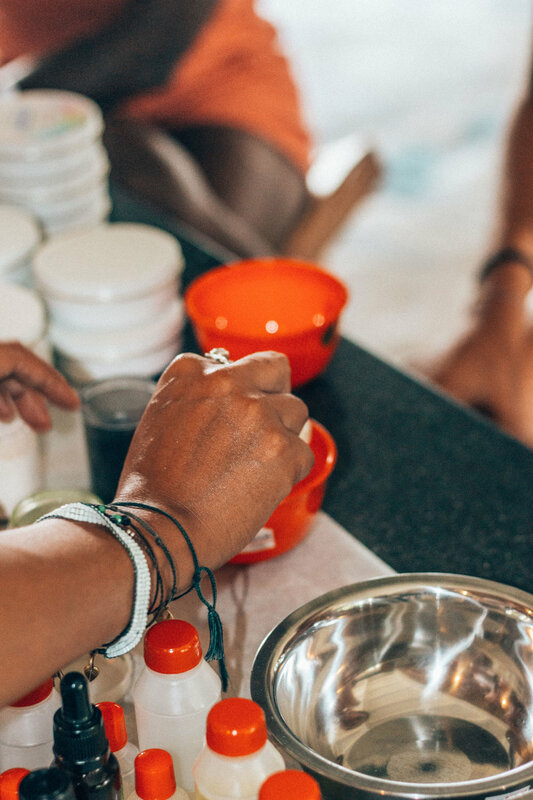 You’ll then spend time blending the oils with ingredients like cocoa butter, coconut oil and beeswax to create your very own skin care products. Skincare-guru Indri will lead the class, teaching us how to make a magical salve that she dreamt up. She swears by it to heal really damaged and dry skin. After the info-packed afternoon, you’ll be ready to start making your own skincare products at home. You know your skin deserves this. So, won’t you join us? Your very own lotion bar, face mask + lip balm to take home that will get you hashtag flawless. A booklet of skin-loving recipes to use and re-use for years to come. A complimentary Arak on the house from Akademi Bar's housemade Arak selection. Originally from Jakarta, but a Bali local since 2010. She originally came to Bali for a job, working as a project manager for an IT company, but eventually, she had enough of the corporate world and wanted to pursue a simple lifestyle. There was no room to grow personally and professionally.